A lot of speed in the opener — much of it from outside posts — will set up for a brisk, contentious pace in this seven-panel sprint. Going with a big time jockey change (25 percent winning rides at Gulfstream Park as of this writing) on 2-HOMESPUN HERO, who’s saddled by a hot Mike Maker (27-9-3-2 last seven days). Sitting just off the rail with no speed to the left should get Jose Ortiz in perfect position to get out front and stay there. 11-DAY OF FURY is one of the outside speedsters that can clear the charge from a bad post position and also gets a pilot upgrade. 1-LOOKIN FOR A KISS doesn’t have the requisite gate speed, but should be right in the mix late should the early pace melt in the final two furlongs. He’s 2-for-2 making the exacta at Gulfstream, including his last effort which was the first under jockey Julien Leparoux. While it is true that “everyone bets the Pletchers” in Hallandale, it can’t be ignored that the trainer is hitting at a 36 percent clip after 90 starts. The odds on 2-GRATEFUL won’t be the cushy 4-1 the morning line states, but she’s the better of the two Pletcher charges in this turf route — and definitely the one to back. This Hard Spun filly won in her GP turf debut last out at nine furlongs. In a race with little early speed, 3-SWEEPING PADDY represents just that. She should be on the engine with only the horse to her immediate right in the early lead mix. 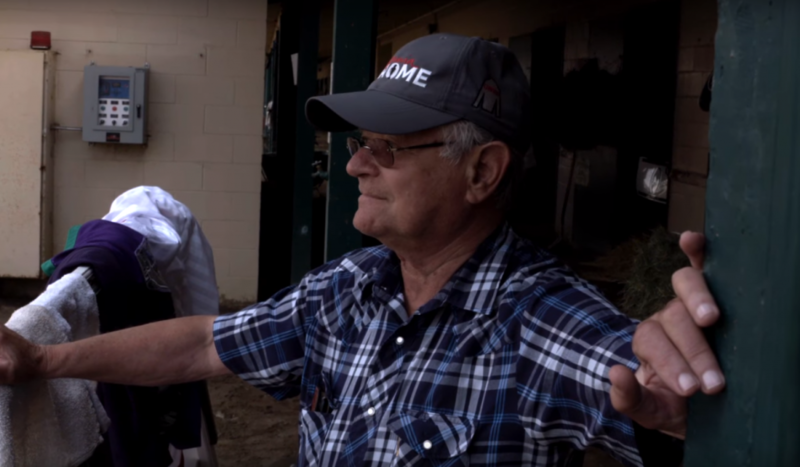 Although she’s yet to show that she can handle this distance, she comes in fresh and the Dale Romans/Corey Lanerie combo has been profitable of late. 6-DREAM DANCING has hit the exacta in both career starts at the distance and the work tab shows promise of a forward move. The first of three Grade III races on the undercard Saturday features another Pletcher horse that can’t be ignored. 1-GENRE is cutting back and that’s precisely what she needs for victory. A quick look at her running lines shows her either first or second at the early calls in almost every race. With the trainer, jockey and rail position (19 percent for dirt races eight furlongs or less) all providing a high percentage of winners, it’s hard not to put this five-year-old mare on top. She’s the only graded stakes winner in the field. 3-CURLIN’S APPROVAL is a “horse for the course,” as she’s won three times and placed once in five starts on the Gulfstream main. She should be out front early with the rail horse and has won at this distance once in three tries. 5-YOU BOUGHT HER is making her 49th career start, but has hit the board in ten of her fifteen trips at seven furlongs, winning five of those attempts. The switch from dirt to turf was probably the right move for 5-DRAMATIC GIRL, as she saw a large jump in her speed figures when running on the green stuff for the first time. This Tapit filly looks to graduate in her second career grass start over many foes that have raced for much less in the MSW ranks. 12-SYMPATHETIC is a longshot running second off a layoff, an angle that has a positive ROI for trainer Michael Matz, who has also had recent success with jockey Edgar Prado, who gets the call here today. A forward move is indicated. Throw some blinkers on 11-UNION WAY for the first time and maybe we have a runner. This one ran third behind race winner Grateful, who I’ve tabbed in race two, last out. 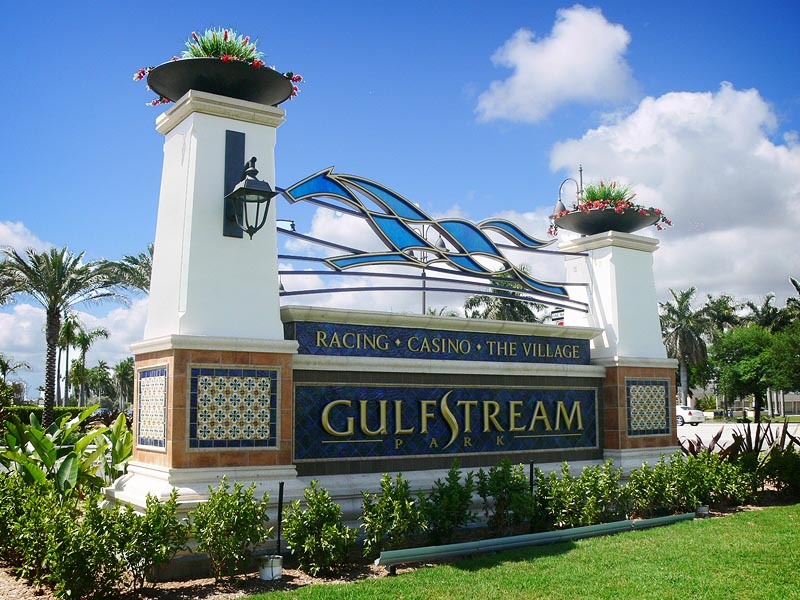 Gulfstream Park will host the first-ever Pegasus World Cup — the richest horse race in the world. The first big-time race of the day features yet another Pletcher horse — and he’s simply the best of the lot currently. 4-STANFORD will be bet heavily and it’s the right play. The old adage is to “bet the lone speed in a race with no real speed” applies here, as this son of Malibu Moon is much classier than any other horse that may want the lead in this one. A wire-to-wire victory is in the cards. The “other Pletcher,” 6-MADEFROMLUCKY, should be a million-dollar earner after this race and has a solid resume with multiple graded stakes wins. He’s just a notch below the morning line favorite and finished fourth to said favorite last out in the Grade III Harlan’s Holiday stakes here in December. 3-IMPERATIVE has only won one time in eleven tries at the race distance, but has been in the exacta five of those eleven tries. 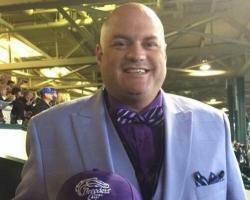 He’s garnered over $2 million in career purses and is worth using in multi-race bets and exotics. I’m going with a longshot in this wide-open MSW turf route that is not a part of either pick-4 or the pick-6. No better time to look at long odds than here. 4-MASCARPONE benefits from the previously mentioned Romans/Lanerie winning combination, has a turf route at this track under his belt, and has finished second in a $56K MSW and a $133K MSW race (at Kentucky Downs). At 20-1 on the morning line, he’ll be an overlay come post time. 14-DATA ROOM is obviously hurt by the draw, but he’s a turfer under Chad Brown’s tutelage who has raced against better foes previously. Note: Chad Brown is good. 10-APPEALING BRIEFS will get an honest ride from emerging jockey Nik Juarez who can get this Tizway colt, who finished second in his Gulfstream turf debut last out to hit the board today. This should be a mad dash, as most of the dozen sprinters here prefer getting to the lead. It’s worth noting that the six-hole for Gulfstream Park turf sprints of five furlongs or less wins at a 22-percent clip — five percent more than the rail and double that of the third-best post. While that’s not the sole reason to like 6-BRANDY’S GIRL, it certainly doesn’t hurt. She just missed last out to my second choice 8-PRETTY PERFECTION and today she looks to turn the tables. Both top choices have won in Hallandale and have multiple wins at five furlongs. If their post-time odds are anywhere near the morning line numbers, a 6/8 exacta box could be a day-maker. I’m also adding 11-NITE DELITE to the mix, although the post hurts. If these three hit in any combination for the trifecta, it’ll pay huge. Going with the firster 13-RUN FOR THE CUP in this one — another wide-open $56k MSW affair. Again, we have the Romans/Lanerie angle, with the trainer also having a positive ROI on first-time runners. Union Rags first-time starters win at a 13 percent clip, and this one’s dam was a $678K earner in her own right. He will definitely be an overlay, especially with multiple Pletcher runners and bigger name sires’ progeny vying to graduate here. 8-LOOKIN FOR EIGHT just missed in his debut and is an obvious choice. He’s a must-play in multi-race bets and on top in exotics. 11-COMMANDEERING is the preferred Pletcher to back. It’s almost a no-brainer that the class of the field, 2015 Breeders’ Cup Turf Sprint champ 10-MONGOLIAN SATURDAY, is the choice here regardless of the poor post. He’ll be again asked to fire fresh, something he’s done in the past with success. His work tab shows he’s near the top of his game and that’s all he’ll need here. If he gets clear early, he should win handily. My best play of the day. 11-POWER ALERT (AUS) just needs to shadow the B.C. champ to set up his best shot to win. It should be a pretty quick conversation from trainer Brian Lynch to jockey Julien Leparoux: “follow the ten.” 3-LONG ON VALUE is aptly named here, as he also tries to fire fresh — and he’s had success both on the Gulfstream turf and at five panels. **Best bet of the day. Art Sherman will send out Horse of the Year California Chrome, who will be making the final start of his illustrious career in the Pegasus World Cup at Gulfstream Park on Saturday. The first of back-to-back mile and a half turf routes late in the card is a tough one, so it may be advisable to either hit the “ALL” button or go very deep in the pick-6 or late pick-4. My top choice is 7-ARLES (FR), who, like every other contender in this race, has some questions to answer — the biggest of which is the distance. However, less than half of the field have tried twelve furlongs, so that question is diminished somewhat. This one has hit the exacta five times in a row, so she’s shown heart — something that is needed to win at today’s distance. Rosario has piloted her to consecutive second-place finishes, including last out when she was a prohibitive favorite. 9-FLIPCUP again gets the services of Johnny Velazquez and the duo was tabbed as the race favorite the last two times he was aboard. She has a pair of Grade III victories on her resume, but is another who has yet to try twelve furlongs. 12-SUFFUSED (GB) has tried the mile and a half on grass twice before, finishing second and off the board in those attempts. She finished second in a Grade I mile and a quarter race at Woodbine last October. Any one of these three has a chance to win. Box these choices with 3-TRY YOUR LUCK. Although many people I follow on social media will question my sanity here, I’m going back-to-back Joel Rosario in turf routes. 4-DANISH DYNAFORMER is classy, has won two tries at twelve furlongs, and is looking good in workouts. A 77-day layoff needs to be overcome, but the graded stakes winner looks the part and is a deserving choice on top. 10-MR. MAYBE is another aptly-named runner on Saturday and he has a shot. Chad Brown and Javier Castellano? Yeah, we can take a shot with those two on turf. And although I lamented that 7-TWILIGHT ECLIPSE was past his prime for last year’s Breeders’ Cup, that doesn’t mean he still can’t compete and/or win in races like this. He’s worth a look in multi-race bets and in exotics. In the Pegasus World Cup, I’ll be backing 12-CALIFORNIA CHROME to end his career on a winning note!